Do you use Interactive Notebooks in Math? Are you looking to jump start your curriculum and engage your students in learning the math content? Interactive Math Notebooks are engaging, meaningful, and rigorous for all students. Students take ownership of their work and retain more knowledge when they write and make connections for themselves. Watch the video about 8th Grade Interactive Math Notebooks to get started today! This Middle School Interactive Math Notebook Bundle is a COMPLETE BUNDLE covering ALL 8th grade Common Core Standards! Getting your students to be engaged in your Math class has never been easier. All the pages are easy Print & GO! When you facilitate the learning process with the Interactive Math Notebook for your students you will see an increase in learning gains. Students will enjoy using their Interactive Notebooks and take pride in their work. When your students take pride in their work, they will enjoy doing the Math and own their learning process. The best way for students to learn is by doing. 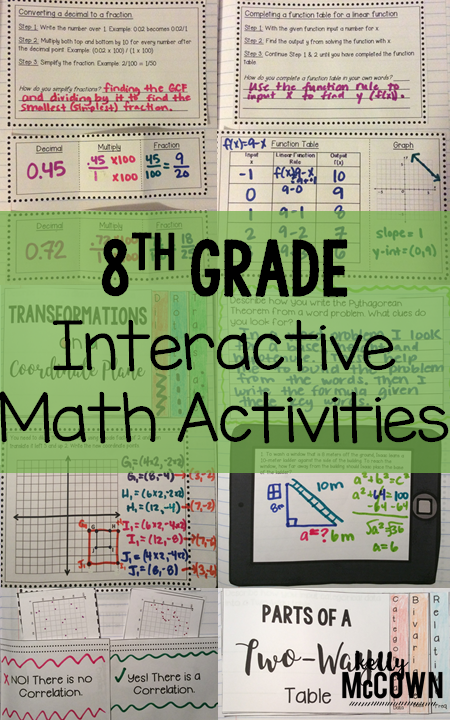 This Interactive Math Notebook actively creates a space for students to write, explain, practice, and apply the 8th grade Math concepts. Every standard is covered in this notebook, taking the guess work out of what to teach and review. Just print what pages your students need to be successful and complete them in their notebooks. Interactive Math Notebooks are a tool for students to create on their own. Students can take notes, highlight, and circle Math concepts that are important for them to know. 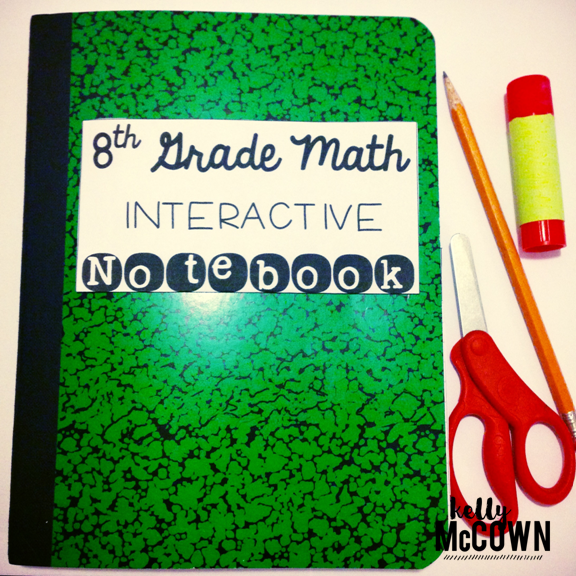 Tips and tools for using Interactive Math Notebooks in Middle School are included in the Middle School Interactive Math Notebook 101 Guide. This resource is for you to implement Math notebooks and be successful! There are rubrics, and grading resources for your students. Pieces of organization and helpful information on implementing notebooks. All the tools are in this guide for you to increase your students' knowledge of 8th grade Math. I hope this is a success in your classroom too! $75 TPT GIft Card Giveaway!